The Adult Detention Center (ADC) is a 500-bed pre-trial facility providing safe and secure detention services to individuals following their arrest until a court disposition is reached. The ADC also houses individuals being held for probation or parole violations. Opened in December 2003, the ADC currently employs nearly 150 detention, law enforcement and medical staff. 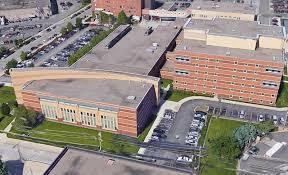 The Sheriff’s Office operates the Adult Detention Center (commonly referred to as the Ramsey County Jail) under state law.